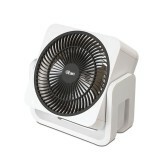 IF7619 is whole room air circulator stand fan that circulates super power vortex air flow using its unique submarine blades driven by double sealed bearing motor. As the blades turn, they create a dynamic flow of air that results in turbulent free, stable and concentrated wind that cools down the..
iFan IF9626 is a floor fan with unique blade design that is able to effectively cools down a room temperature instantly. Hence, it results in turbulent free, stable and concentrated vortex air flow throughout any room. Apart from that, it is able to reach longer distances for maximum cooling powe..
Power Consumption 65W Speed Settings 3 speed Blade Type ABS Turbine Blade Oscillation Function 90° Vertical Angle Adjustment Safety Features Built-in safety thermal fuse and motor overheat protection 3 Years Warranty on ..
iFan (IF7656) is a floor fan that serves more than just a normal floor fan. 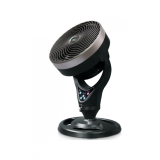 It is a whole room air circulator that optimises turbulent free, stable and concentrated vortex air flow throughout the whole room. Its unique features consisting of submarine blade design and ionizer are able to reach lo..
With unique submarine blades driven by double sealed bearing motor, the IF9669 creates air that is turbulent free, stable and concentrated compared to normal standard fan. When use in an air conditioned room, the air in the room cools down instantly and makes the air circulation in the room fresh.. 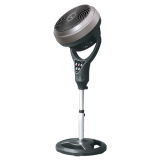 FEATURES 9" High Velocity Floor Fan 3 speed control 3 Pcs high power fan blade ..
IONA GLQQ888 Air Circulator Beat the heat with Iona's triple head air circulator fan. 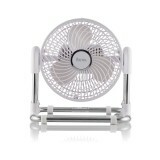 It comes with 3 separate controlled fan blades for multiple angle coverage. 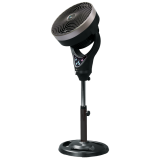 Each fan head can be tilted to different angles and comes with independent 3 speed control FEATURES ..
Iona GLT820 Air Circulator Effective cooling and air circulation with this stylish 8.5" portable high velocity floor fan. 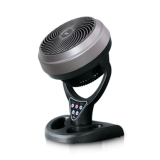 High power with silent operating motor and air flow designed fan blades. Ideal for bed rooms and office use. Features: 3 speed selection ..